Fares below are valid from 2nd Jan 2019. Our passenger fares to East or West Cowes start from just £10.30 so why not take in the sea air and enjoy a great day out. There's no need to book, just turn-up, buy a ticket and travel, it's that simple! Our prices are fixed year-round and we have a range of concessions available with free travel for infants, pets and bicycles. We hope to see you soon. Southampton to East Cowes - free of charge. Southampton to West Cowes - foldable cycles only, carriage is free of charge but they must be carried in a suitable protective bag. Children under 12 must be accompanied by a responsible fare paying adult. Infants (0-4 yrs) do not require a ticket. Dogs and other domestic pets are carried free of charge in accordance with our pet policy. All amendments are free, however a fare difference may apply if you increase the duration of your stay. Passenger tickets are non-refundable. Save up to 4% when purchasing Red Funnel tickets or food & drinks from the Steam Coffee Co. or our ReFuel café restaurants. My Red Funnel Rewards is FREE to join so what are you waiting for, sign-up today and start saving. Foot passenger tickets booked via the website are currently only valid on our Southampton < > East Cowes route and are based on standard rates. All other ticket types are available from the Ticket Office on the day of travel. Valid for outward departure from Southampton Monday to Friday from 1815 hrs and at anytime on weekends, return journey from West Cowes can be after 09:15 on weekdays and at anytime on weekends. Senior Citizens: Weekday off-peak travel valid after 0915 from Southampton. 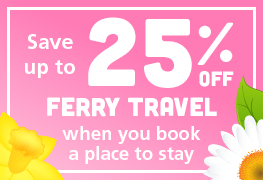 Valid for both the Vehicle Ferry and Red Jet service, when two people travel together from 11.15 am. Valid seven days a week. Only one ticket will be issued and both passengers must travel together or the ticket will become void and an upgrade charge will be applicable. Not available for travel from Southampton, 10th - 18th August 2019. Party must contain 3 or 4 people. At least one person must be an adult/senior and one person must be a child/infant. Party must travel together in both directions. Family Fares are valid from 0915 hrs from Southampton Monday to Friday and anytime on weekends. Applies to groups of at least 4 adults or 4 children travelling together in both directions. Standard Group Fares are valid from 0915 hrs from Southampton Monday to Friday. 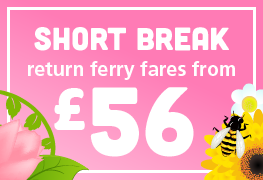 Off-peak Group Fares are valid from 1815 hrs from Southampton Monday to Friday and anytime weekends. Groups of 12 or more persons, not valid for travel on sailings from Southampton between 17.15 to 18.15 inclusive. Valid from 18:15 hrs Mon-Fri. Valid at anytime Sat-Sun. Excludes travel on 13 and 14 June 2019. Applies to groups of 4+ Adults or 4+ children, travelling together in both directions. Groups of 12 or more persons, not valid for travel on sailings from Southampton between 17.15 to 18.15 inclusive. All prices listed are in GBP (£). West Cowes to Southampton - Foldable cycles only, carriage is free of charge but they must be carried in a suitable protective bag. Youth fares are available for Isle of Wight residents aged 16-19 yrs who can prove their age with an IW Council Student Rider Card, Passport, UK Driving Licence or Validate UK card. All amendments are free, however a fare difference may apply if you increase the length of your stay. Passenger tickets are non-refundable. The quoted fare is per person. 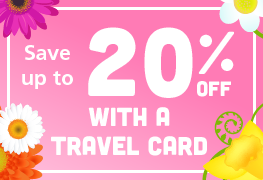 Valid for travel at anytime, 7 days a week. Season Tickets offer unlimited foot passenger travel on any sailing and are available for fixed durations of 7 day, 30 day, 6 month and 12 months. What's more, you'll benefit from a 15% discount on food and drinks from the Steam Coffee Company and our ReFuel café restaurants. Also, if you join My Red Funnel Rewards you can save up to 4% in loyalty points with any Season Ticket purchase. 7 & 30 day Season Tickets: First time purchases can be made online. You will be supplied with an ID Card bearing your photograph. To renew a 7 or 30 day ticket, please present your Red Funnel ID Card with payment at any ticket office during opening hours. 6 & 12 month Season Tickets should be purchased and renewed online. Applicants require a full face passport size digital image (jpg). Students also require a scanned copy (pdf or jpg) of their university/college course registration letter proving their full-time education status. Step 1a. Existing customers - login to your My Red Funnel account where it says 'Login' on the red bar at the top of this page. Once logged in, click on your name and you will see a link to 'Manage my account'. Step 1b. New customers - click here to join My Red Funnel. Once registered, click on your name on the red bar at the top of the page and click on 'Manage my account'. Step 2. If you haven't already uploaded your photograph, go to the My Details section and add your passport style image (this will be printed on your ticket). Step 3. To earn loyalty points on your Season Ticket purchase, please sign-up for My Red Funnel Rewards before you purchase. Step 4. Open the 'Buy a Season / saver tickets' section. Select 'Buy Season Tickets' or 'Buy Student Tickets' and select the ticket duration you want. Students can upload their course registration letter at this point. Add your order to the basket. Step 5. Finally, just check-out and pay. Please allow 5 days to process your Season ticket order. Saver Tickets are aimed at occasional travellers, students and corporate customers who want a flexible solution to crossing the Solent as foot passengers. 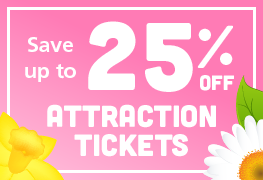 All Saver Tickets can be purchased online whilst Adult and Child Saver Tickets can be purchased from our Ticket Offices. Student Saver Tickets are available for students living on the mainland who attend a College on the Isle of Wight. They are sold in batches of 20 and can be used when accompanied by a Red Funnel Student ID card bearing the holders photograph. They are only valid for an academic year and expire on 31 July each year, regardless of the date of issue. Student ID cards are issued on application for each academic year (01 Sept to 31 July) and are issued subject to the presentation of a full-time course acceptance letter and a passport size photograph. Step 2. To earn loyalty points on your Saver Ticket purchase, please sign-up for My Red Funnel Rewards before you purchase. Step 3. Open the 'Buy a Season / saver tickets' section. Select 'Buy Saver Tickets' or 'Buy Student Tickets' and select the ticket type you want. Students can upload their course registration letter at this point. Add your order to the basket. Step 4. Finally, just check-out and pay. Please allow 5 days to process your Season ticket order. 2. Season Tickets, Saver Tickets and Red Funnel ID Cards will not be valid if they have been defaced, are illegible, torn or tampered with. 4. Customers who have mislaid or forgotten to bring a Red Funnel ID Card, Season Ticket or Saver Ticket at the point of travel will be required to pay the normal fare and no refund will be issued against a single or return ticket. 10. My Red Funnel Rewards points issued to a customer's My Red Funnel account (or, in the case of season tickets purchased prior to 7 August 2015, monies on the pre-charged Travel Card) that have been spent will be taken into account when calculating any refund due. 1. A valid and complete Saver Ticket must be shown to staff when boarding. 2. When travelling with a Day Return Saver Ticket, before the outward journey, the date of the travel must be completed in the space provided. Students Saver Ticket holders must also show their Red Funnel ID Card valid for the current academic year. Staff will validate on the outward journey and hand back the ticket for use on the return journey. 3. Student Saver Tickets are only available to those in full-time education. They are valid for day return travel and there are no route or sailing time restrictions. A passport size photograph and a copy of a course registration letter is required on application (Red Funnel reserves the right to check the enrolment status of applicants at any time). Red Funnel ID Cards and tickets are valid for use 1 Sept to 31 July (academic year). A maximum of 9 Student Saver Tickets can be purchased per student per academic year. 1. Saver Tickets are intended for internal use and must not be resold without permission from Red Funnel. 2. Saver Tickets are non-refundable unless agreed with Red Funnel prior to purchase. All information is correct at the time of publishing. † Calls may be recorded for monitoring and training purposes. Call centre opening hours are subject to change without prior notice. Through rail tickets (including the ferry fare) to West Cowes or East Cowes are available from all UK station ticket offices, some ticket vending machines in the south of England and ticket websites such as Trainline. Through coach tickets including the ferry fare to West Cowes or East Cowes are available via the National Express website or from any ticket office or NE agent. Hythe Ferry sell great value through day return passenger tickets from Hythe to East or West Cowes (change for connecting Red Funnel services in Southampton). Southern Vectis Bus Rover tickets giving unlimited travel on the Isle of Wight are available when you purchase ferry passenger tickets to West Cowes or East Cowes. If you wish to travel to East or West Cowes to drop-off or collect your children we offer an Adult Day Return or Off-Peak Day Return with up to two FREE single child tickets. Please note you must return on the next available sailing.